The world we live in is constantly changing. Trends are revamping and technology is innovating. This scenario is visible in almost every field and HR department is no exception. In the present day world, the HR department needs to be more adaptive and fast to function without any flaws. As the workforce is largely spread with the introduction of MNCs, sorting the qualitative from this large quantity is strenuous. It requires great analytical skills from HR department side to keep the company going in the right direction. Following the traditional HR ways, only help in building greater chaos. Maintaining the employee work balance, allocation of human resources and all-inclusive support to the company, demands a high degree of analytics. HR Management software comes as an aid for the smooth and effective functioning of HR departments. The automation of data is the pivotal element that keeps raising the number of HR software implementations in business circuits. Presently business data is fully automated with the help of software and HR uses them for creating workforce reports. Each day new innovations are getting tuned in HR software’s and using them is no more hassle. In this blog, we will discuss the HR dashboard, which is a feature in HR software. We will see the importance of HR dashboard and how it makes things easier for the HR department. Selecting, training and retaining new recruits is not an easy task. Developing an employee is just creating a perfect story. First, an employee is selected, properly monitored, trained and finally put into productive use. Through various features like payroll, performance data, goal alignment helps HR software in bringing vital information to place. Collecting these data, analyzing and refining them properly and eventually taking suitable measures denotes the proper workflow of the HR department. Thus the business will get totally and properly maintained by the decisions made on behalf of these data. To help you make these data and to identify the change in trends on time the HR dashboard can be made use of. The various reports and data which carries all the vital information of the company are organized to a single screen through the HR dashboard, thus helping in identifying the important data in a single glance. Various things like charts, graphs, meters etc. can be included in the HR dashboard. Graphical representation offered by the HR Dashboard helps in analyzing the data just by identification. The HR dashboards are totally interactive in nature, so you can get all the information with just a click. Perfect filtering: even if the software is capable, it is not recommended to monitor all the data to sort out a particular factor. It is because it is just time wasting and useless work. The HR dashboard should be highly adaptive to filter the unwanted data and just to pick the most relevant ones. Smart decision making: the HR dashboard should help in smart decision making. The HR dashboard metrics should be in such a way that it should help the HR to predict future action based on past actions. For example, if in a company all of its elite employees are selected from a particular job portal, then during a new opening, the HR only need to consider that job portal for shortlisting the candidates. The information on the job portal shall be available from the HR dashboard. Provide a deep and complete view: the HR dashboard should provide a detailed view of all the data like employee information, payrolls, leave management, reports etc. Each information shall help the HR for planning and executing new strategies for the welfare of the company. Also, the data should be easy to access and user-friendly. 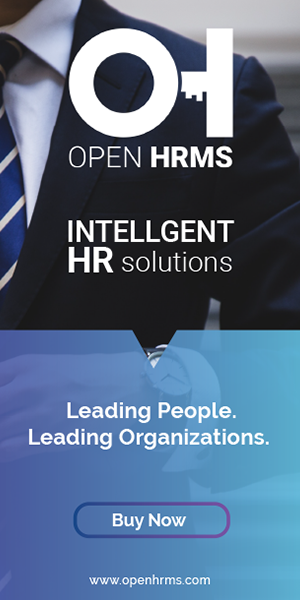 Now the open HRMS software is the perfect solution for HR management activities. The dashboard in open HRMS is feature rich and modern and it will surely aid the HR department for its smooth functioning. Let’s go through the various features of open HRMS software. All the vital information about the organization can be accessed easily through open HRMS dashboard. Various information’s like payslips generated, running contracts, time sheets etc. are available here. It also displays the current username, position, joined details etc. An overview of leave requests from the employee side is the accessible in open HRMS dashboard. The HR manager can see leave requests sent in different time periods from the dashboard itself. The HR in open HRMS allows the user to see total leave allocation requests. It also provides a view about the job applications received for a particular job opening. The details of employees belonging to various departments are available in here. The data will be available in open HRMS dashboard in different forms like graphs, pie chart etc. This helps for better understanding. Leave analysis is also a feature of the open HRMS dashboard. Here the user who has the access can view total leaves in various months. This also can be viewed in the bar graph and pie chart modes which makes assessments easy. The HR manager will get the details about upcoming birthdays of employees in the open HRMS dashboard. This process helps in maintaining employee engagement. As leave is a crucial factor in an organization, open HRMS gives importance to the leave analysis. My leave analysis is linked with the user. The user can see all the leaves and its graphical representation with the open HRMS dashboard. The user thus can analyze his own leaves in different months. Now with all these features we can say that open HRMS dashboard is the perfect companion for the HR to perform his activities without error and thus contribute to the company growth.